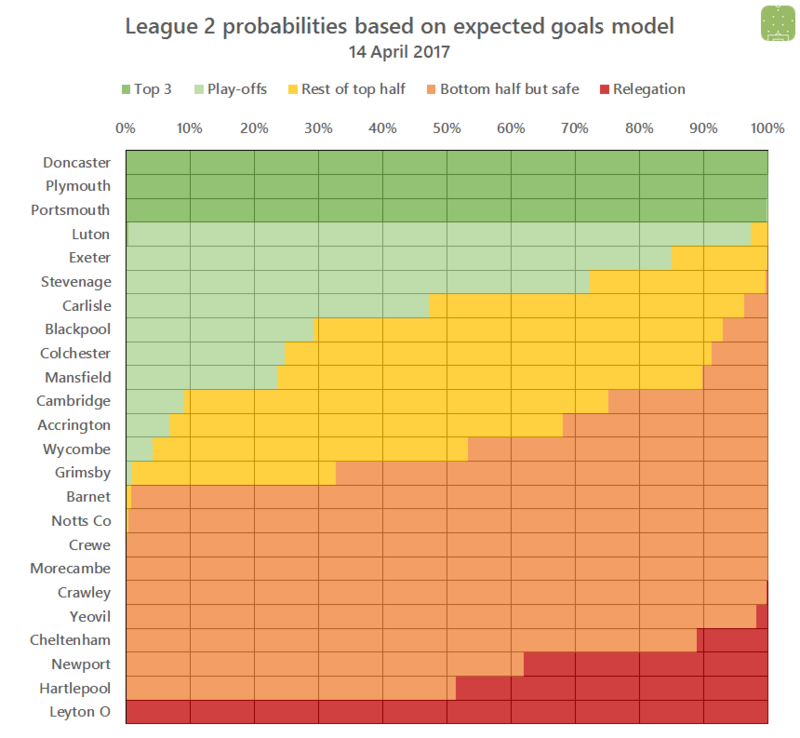 There’s a lot of interest in the League 2 play-off race (and the League 1 relegation battle, but that’s a bit morbid), so I thought I’d road-test another graphic from the “half-finished” folder on my laptop. 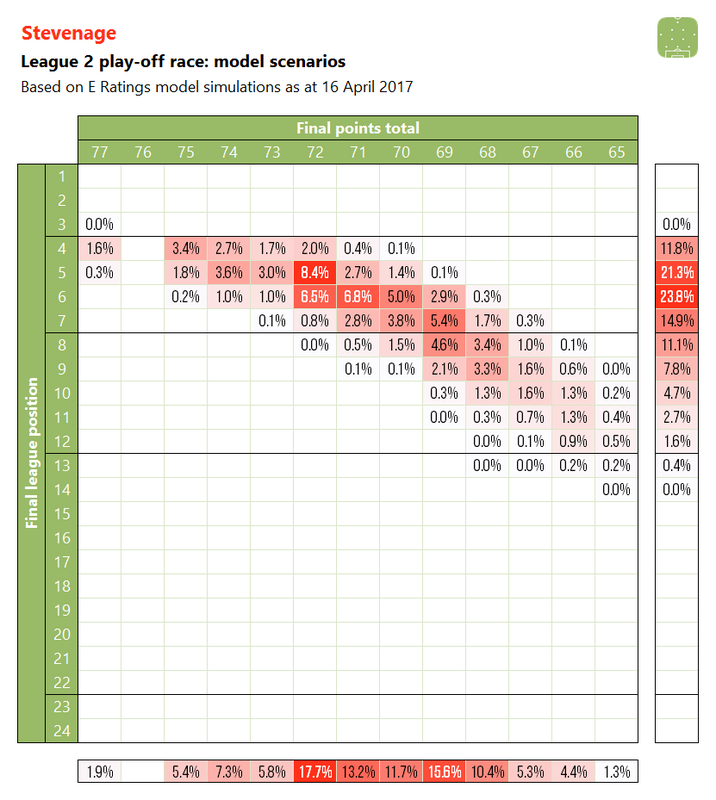 What these do is to split out the weekly model simulations I run to show the spread of predicted finishing positions and points totals against each other. Each cell in the main grid is the percentage of times that specific points and position total occurred in the 10,000 simulations I ran, with the separate column and row “collapsing” these back into individual measures again. 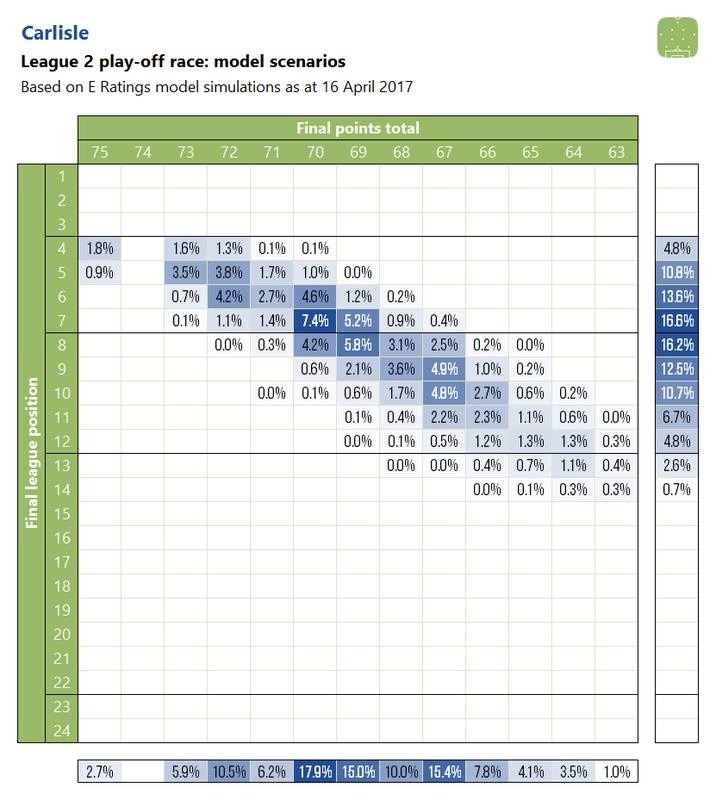 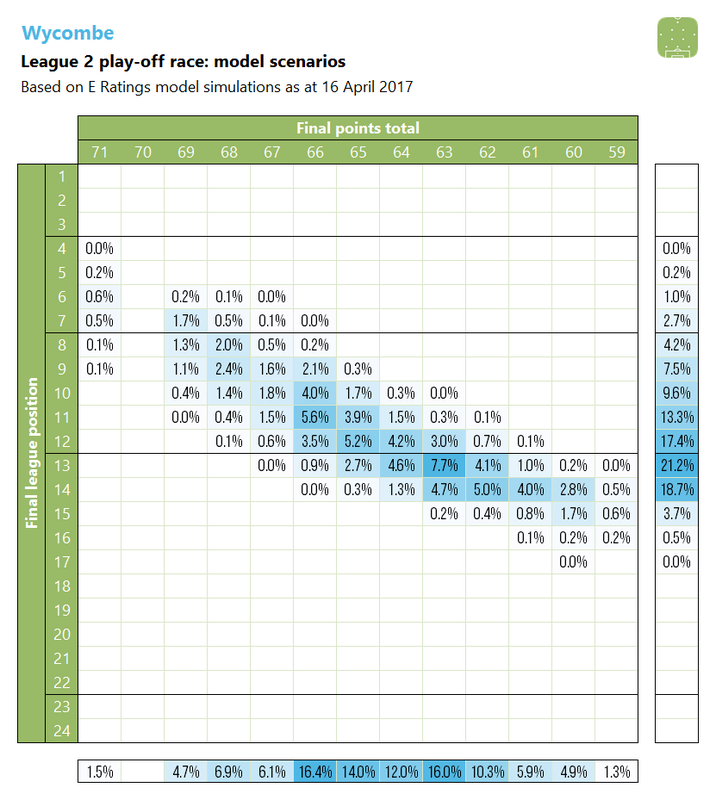 I’ve produced a graphic for each club with a realistic chance of making the play-offs with four games remaining. 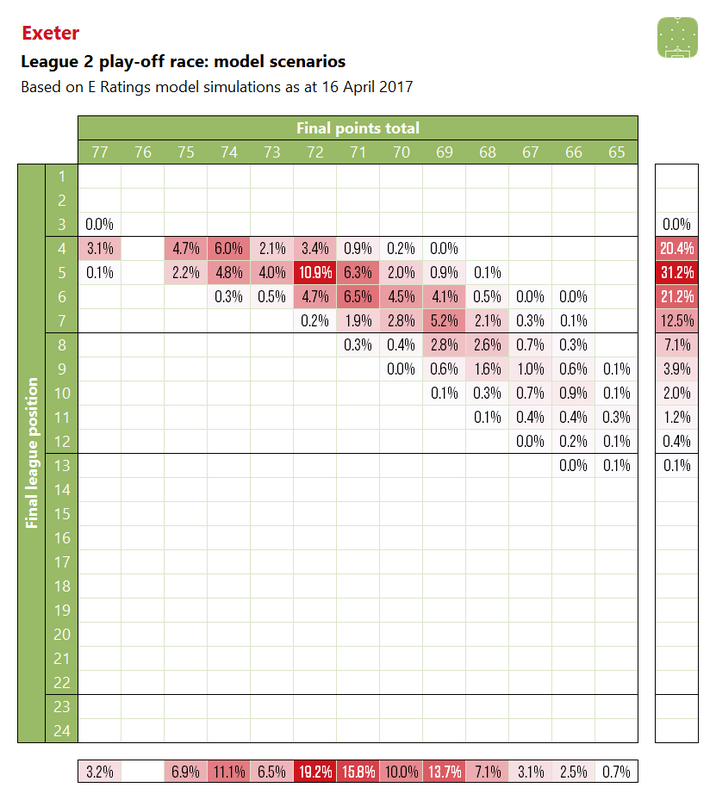 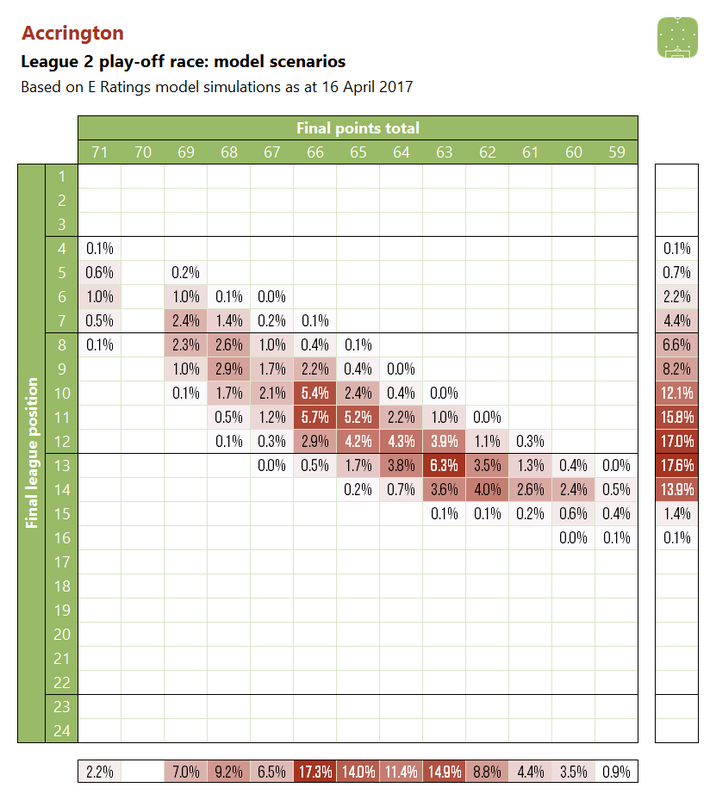 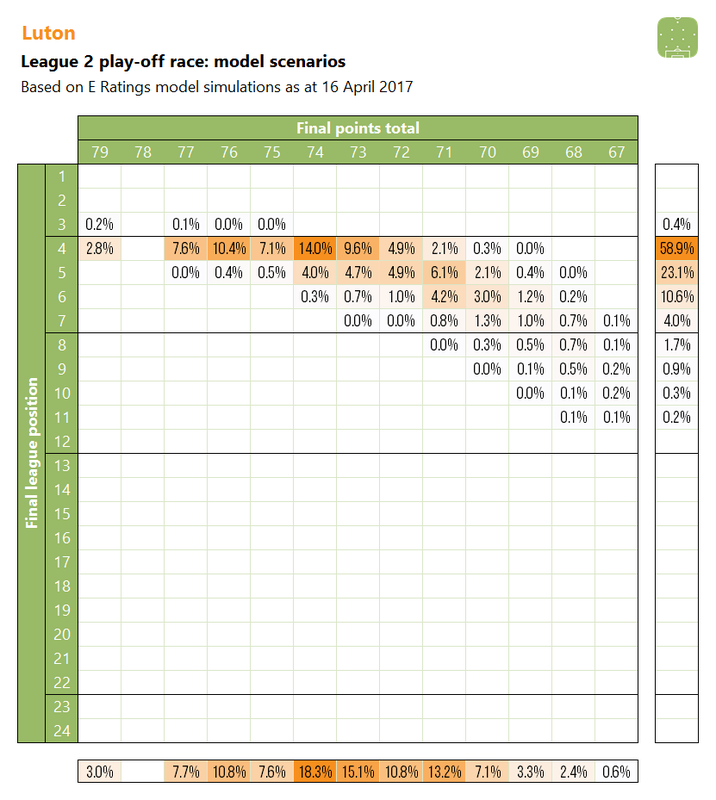 To use the first (Accrington) as an example, they have a 2.2% chance of taking maximum points from their four remaining matches, and in nearly every case this would be enough to finish in 7th place or higher. However they’re far more likely to finish in upper mid-table. 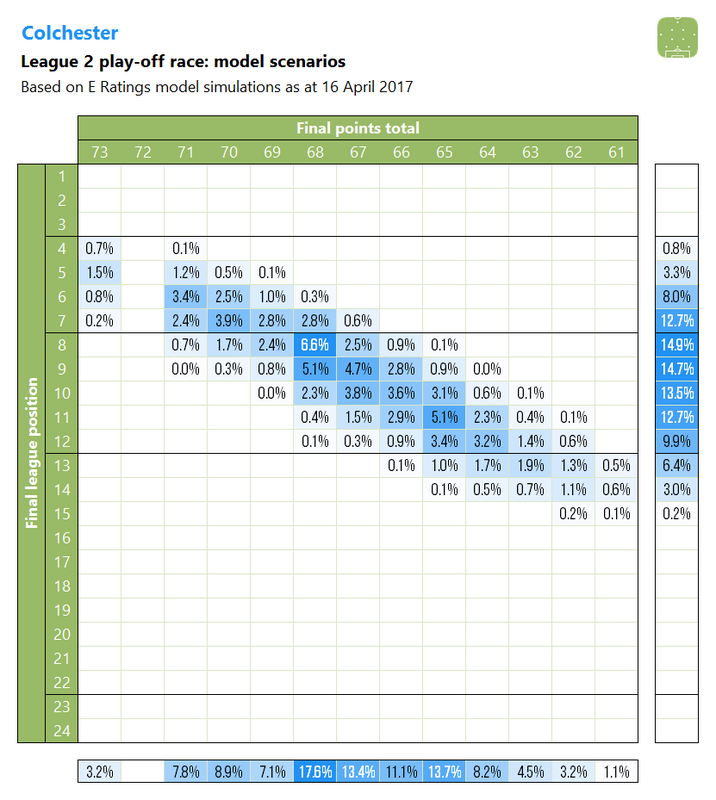 There are a lot of numbers in these plots, but hopefully they give some idea of the “shape” of a team’s prospects. 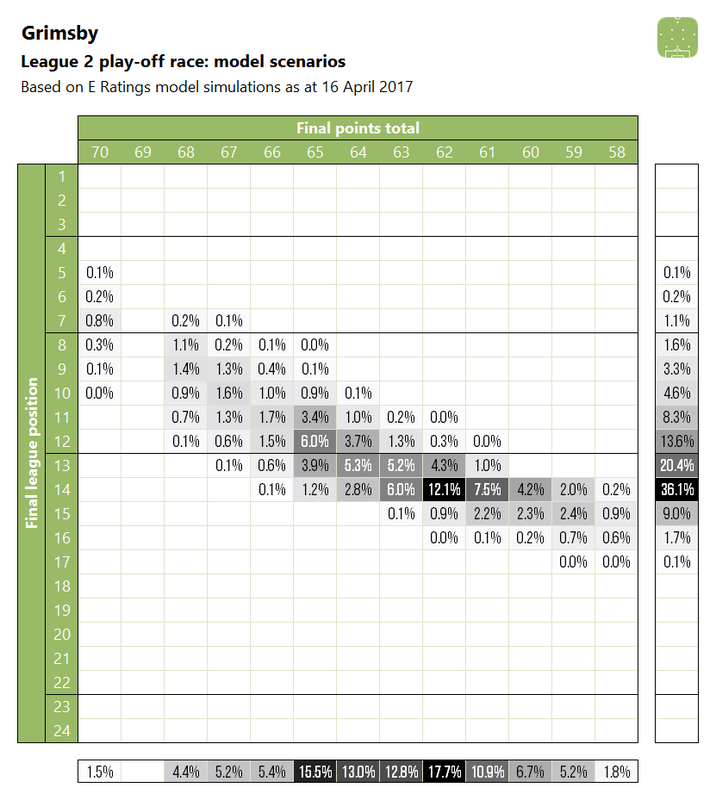 For the final version I might summarise up a level further e.g. to the overall percentages shown in the latest overall chart, and maybe use tiny graphs across the bottom and down the side to make it a bit easier to see the overall situation.